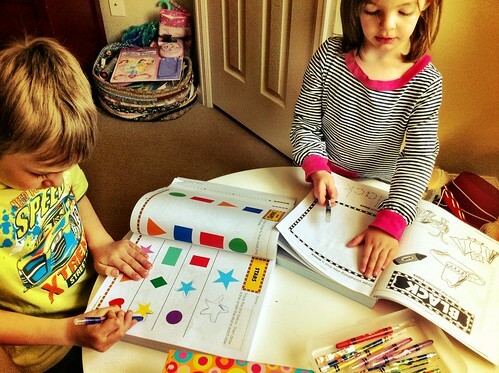 They love these workbooks., originally uploaded by Fluttering By. I bought some workbooks for a steal at Sam’s Club when we tagged along with my parents one day. They are hands down their favorite thing to do lately. Every day they come to me and ask me to help them do their books. « Yeah, I work at Spidertrax with my Daddy.